What The advertising slogan says that it’s “More Than a Car, it’s a Cadillac”, well in fact, its more than a Cadillac, it’s a SAAB. The BLS Luxury might sound like a burger you would order at a stateside drive-thru but that’s where it stops and where the Swedish Chef firmly takes control as the new Cadillac is actually built at Saab’s Trollhattan factory in Sweden and it’s not even going to be sold in America. Now don’t get me wrong here, there’s absolutely nothing wrong with that and because of that, I wonder why G.M. are going to such lengths to distance the new Caddy from the Saab. G.M. have used the Cadillac brand well and produced a wild and edgy alternative to the boring predictable cars we see around us all the time, but have based it on one of the most reliable cars in Europe, which means we can all have one! It means we can give the world the impression we are brave enough to be different, whilst all the time we can be driving a car as, solid and reliable as Radio 4. This isn’t the first time G.M. have brought a U.S. brand into Europe or shared platforms; they have already remodeled the Daewoo range and re-badged them as Chevrolet. Anyway, I kind of think G.M. might just be onto something here, as everyone likes choice, everyone likes an alternative and the new Cadillac however, Saab 93 like it is under the skin, just doesn’t look like the Saab, so G.M. have effectively created another new entry into the market place, given us another make of car and given us what we want, more choice. Before we even look at the car, we’ve got to look at that name, Cadillac. Would you go looking to buy a Cadillac? Of course not, but that’s irrational and I don’t understand why it should be so, because every time I said I was driving a Cadillac, everyone got excited, everyone got interested, everyone wanted to see it and almost everyone wanted to drive it or borrow it and that’s something I cant say about most of the cars I test. As for the car itself, well first impressions are good, it looks well nailed together and the fit and finish and panel gaps are excellent. The Cadillac BLS is definitely more glitzy than other European G.M. offerings, with its dominant chrome cheese cutter grille, bright alloy wheels and huge vertically stacked tail lights; this car is going to appeal to the buyer that wants to be noticed. Our test car was the “Luxury” version (there’s a term you don’t hear everyday) finished in black and with loads of chrome bits, it looked the business. Any car is going to get you from A to B, but we want more than that now, we want a car we can feel special in, a car that makes us feel good, not just once, but every time we get in it and the baby Caddy does that. Its fair to say though that a number of people in our offices thought the Cadillac was an awful slab sided ugly car and wouldn’t buy it because of its looks, so clearly, this cars beauty is in the eye of the beholder. Our car had the 1.9 150ps common rail Turbo Diesel engine found in the Vectra and Alfa Romeo 159 (and of course, the SAAB 9-3) amongst others. It’s a flexible and refined engine and when mated with the excellent 6 speed automatic transmission, it’s just a breeze to drive and is super smooth. We averaged around 39mpg, but it was an automatic and we did drive it in all kinds of way during our testing. The claimed MPG for the manual is 46mpg and I feel that would be easily possible. The Cadillac is available with 4 engine choices, 3 of which are petrol units ranging from a 2.0T 175ps, a 2.0T 210ps and a 2.8V6 255ps, whilst the 1.9 150ps we tested is the only diesel option. In terms of emissions, the diesel produces 164g/km in its manual form and 194g/km in automatic, whilst the V6 petrol Auto goes up to a flower choking 259g/km. Inside the car, everything is pretty simple, with really quite a nice (Saab like) layout with clear dials and excellent switchgear. It’s very European and whilst there is a spattering of wood around, it’s outnumbered by the plastic bits. I liked the retro analogue clock mounted on the dash, very Cadillac. Space wise, the Caddy has plenty of room for the driver and front seat passenger, but it’s not a barge so it does lack a little room in the back, but that’s fine because so do most other cars in the sector. But without doubt, the interior is a nice place to be, no matter what the journey length. The cars boot is cavernous and you can easily fit your golf bats and even probably your caddy in without trouble. On the road, the Cadillac is excellent, it’s all about comfort and ease of use and the Cadillac delivers that in king size portions. The suspension is a little softer, but it’s still involving driving the car and you really can throw it about if that’s your bag. Choosing a car isn’t as much about its reliability or the way it handles now days, it’s about image, cost and of course everyone would claim green issues as well, although the first requirement to go is always how green it is, in favour of “this is the car I want”. Our Caddy really did look stunning and in traffic, drivers around us were taking quite an interest in what is frankly a very rare and unusual car, either that, or they were trying to cut a drugs deal with the mobster they felt sure would be driving. All in all, after driving the car for over a week, I have to say I liked it. I never thought I would and was certain I would be panning this as a feeble effort to use up some extra capacity at the Saab factory. I was convinced the concept was nonsense and certain I would tell you that if you want a Saab, well you should go and buy one. However I have been won over by the uniqueness of the car, by its off the wall image which tells the world you are not going to conform and that you are brave enough to be different. It says I am an individual. Most of its opposition won’t get you noticed at the golf club but, the Cadillac certainly will. Think of it as a conversation piece! Price wise, the Cadillac starts at £50 under £20,000 for the entry level and runs right up to £31,600 for the range topping 2.8 V6, so its firmly priced to compete with BMW 3 Series, Audi A4, Mercedes C Class, Volvo S60 and of course, the Saab 9-3. 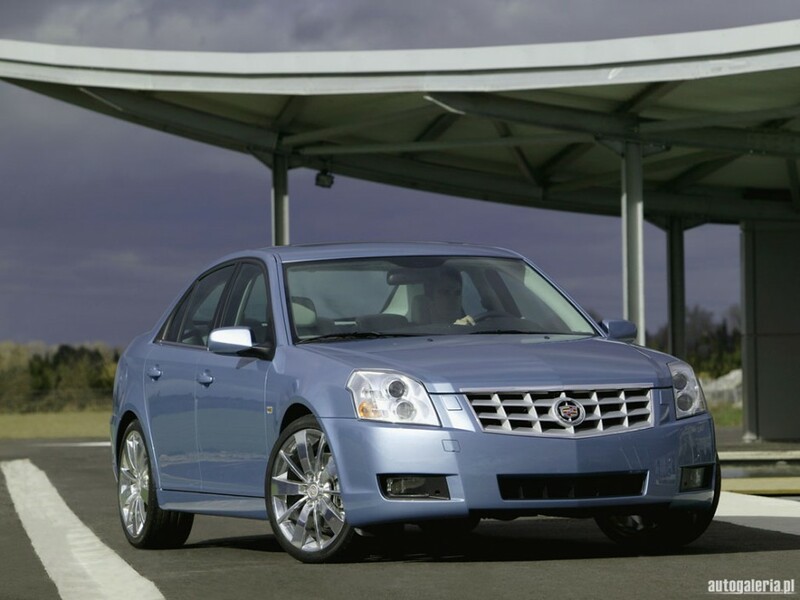 We felt the Cadillac offered best value in its mid range diesel versions, although at this point, the product is fairly rare and with not too many people even knowing it exists. These figures have to make the Cadillac the bargain of the year, as for around 41p a day extra, you can drive an unusual, swanky, stylish statement of a car that’s going to set you apart from the crowd, a car that says you have your own mind and of course a car that has the Cadillac badge, whilst all the time (just you and me know) its as reliable as a pair of wellies and robust as Stone Henge. For a quote on any car in the Cadillac range, please contact us.